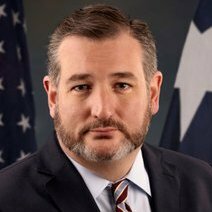 Ted Cruz has refused to provide voters with positions on key issues covered by the 2018 Political Courage Test, despite repeated requests from Vote Smart and voters like you. What is the Political Courage Test? For Presidential and Congressional candidates who refuse to provide voters with their positions, Vote Smart has researched their public records to determine their likely responses. These issue positions are from 2018. Pro-life Abortion: Do you generally support pro-choice or pro-life legislation? No Budget: In order to balance the budget, do you support an income tax increase on any tax bracket? Unknown Position Budget: In order to balance the budget, do you support reducing defense spending? No Campaign Finance: Do you support the regulation of indirect campaign contributions from corporations and unions? No Economy: Do you support federal spending as a means of promoting economic growth? Yes Economy: Do you support lowering corporate taxes as a means of promoting economic growth? No Education: Do you support requiring states to adopt federal education standards? Unknown Position Energy & Environment: Do you support government funding for the development of renewable energy (e.g. solar, wind, thermal)? Despite exhaustive research, Vote Smart was unable to find information about this candidate's position. No Energy & Environment: Do you support the federal regulation of greenhouse gas emissions? No Guns: Do you generally support gun-control legislation? Yes Health Care: Do you support repealing the 2010 Affordable Care Act ("Obamacare")? Yes Immigration: Do you support the construction of a wall along the Mexican border? Yes Immigration: Do you support requiring immigrants who are unlawfully present to return to their country of origin before they are eligible for citizenship? Unknown Position Marijuana: Do you support the legalization of marijuana for recreational purposes? Unknown Position National Security: Should the United States use military force in order to prevent governments hostile to the U.S. from possessing a nuclear weapon? Unknown Position National Security: Do you support increased American intervention in Middle Eastern conflicts beyond air support? Official Position: Candidate had the Political Courage to address this issue directly. Inferred Position: Candidate refused to address this issue directly, but Vote Smart inferred this issue position based on the candidate's public statements, voting record, and evaluations from special interest groups. Unknown Position: Candidate refused to address this issue. Vote Smart's Research: Click on this icon to reveal more information about this candidate's position. Other or Expanded Principles & Legislative Priorities are entered exactly as the candidate has submitted it. Vote Smart does not edit for misspelled words, punctuation or grammar. Vote Smart does not permit the use of its name or programs in any campaign activity, including advertising, debates, and speeches.